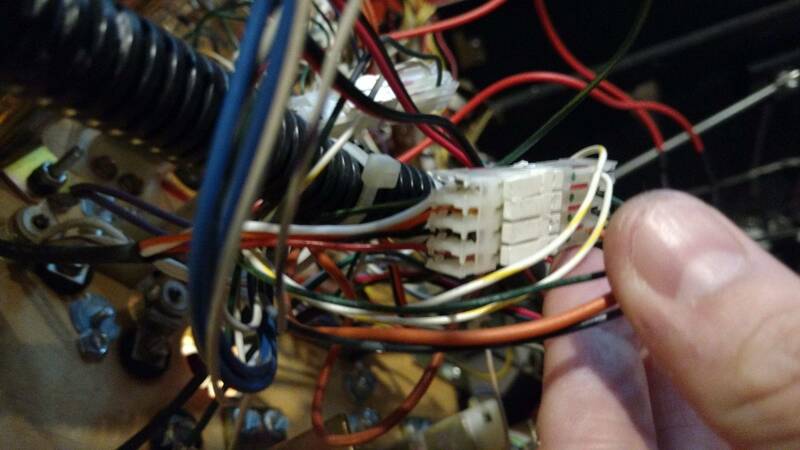 The following pics show the black/grey wire (driver) going to the black wire in the molex connector. Then the pic of the socket shows the black on the nub which appears correct. So I'm out of ideas if thats correct....?! According to the manual, balrog uses an 89 flash bulb, which runs off 20v dc. My guess is you don’t have the proper bulb. I have never been inside my balrog so not sure what’s in ther, just going by what manual says it should be. You sure you have the right socket? Should have a blk-gray wire on the socket. That’s not factory soldering on that socket, maybe previous owner replaced it with the wrong socket. 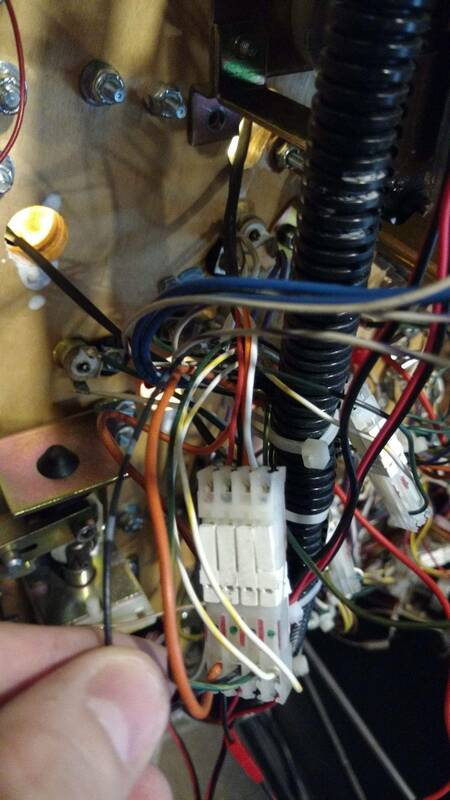 Ya it's the Service bulletin http://www.sternpinball.com/upload/downloads/sb148.pdf that changes it to a #44 base socket for a LED. It's done by the previous owner and now that I've traced it, it looks like it's all correct. Which is why i'm so confused. I don't have my LOTR nearby to check, but we commonly get complaints that some LED flashers don't work in this socket. I'm not sure I understand the reasons 100%, but swapping the which wire goes to which lug on the socket seems to resolve it. Thanks - that's what I'm thinking. If I had an AC rated bulb it would be fine but since it's DC I need to swap the wires to the socket I guess. I was just concerned that maybe swapping the wires would cause some other issue, but sounds like it's fine. 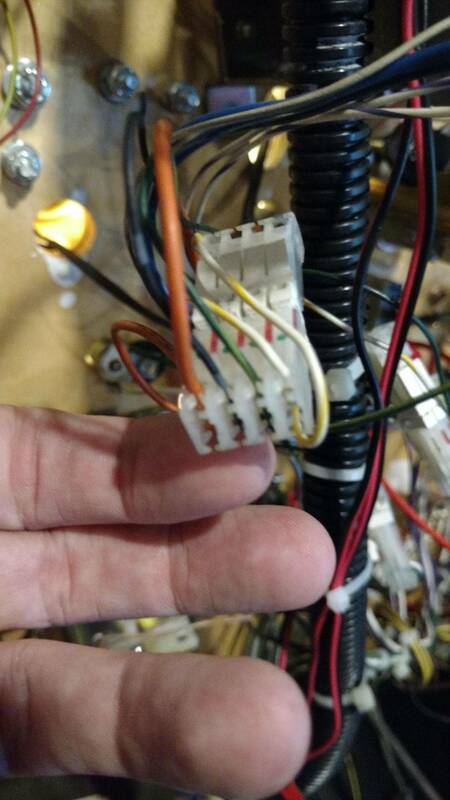 Yep, swap wiring. Had this issue with a whitewater i just restored. 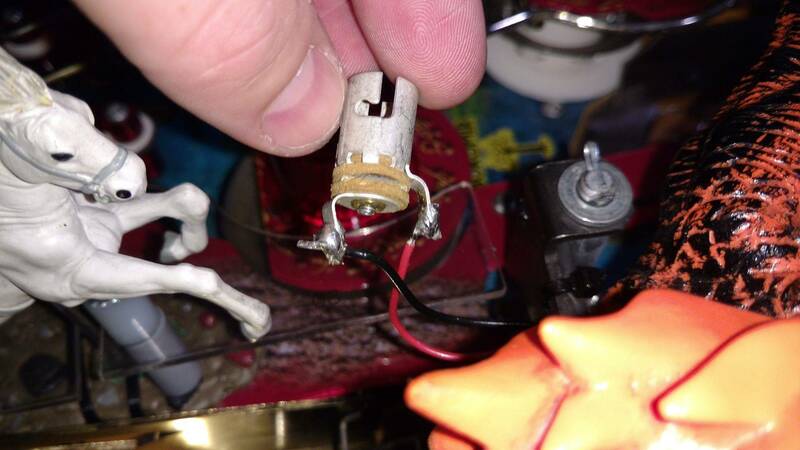 Had an LED that worked in other sockets but not the 2 insanity falls ones, after swapping drive transistors and boards and everything, i finally realised the factory wiring was back to front - didn't matter for an incandescent flasher, but it did for an LED. If it was wedge, you could turn the bulb around 180 degrees, but being bayonet, this makes no difference.